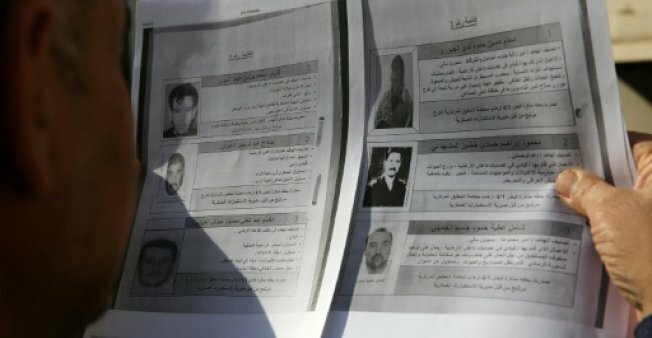 (by News Agency) Iraqi authorities released for the first time on Sunday the names of 60 most wanted figures for belonging to the ISIS terrorist group, al-Qaeda and the dissolved Baath Party. A name that stands out on the list is the daughter of late leader Saddam Hussein, Raghad, who is living in Jordan. It also features 28 suspected ISIS, 12 from al-Qaeda and 20 Baathists, giving details of the roles they allegedly play in their organizations, crimes of which they are suspected and in most cases, photographs. All are Iraqis apart from Lebanese Maan Bashour, the former secretary general of the Arab National Conference who is accused of recruiting fighters to “participate in terrorist activities” in Iraq. The name of elusive ISIS head Abu Bakr al-Baghdadi is notably absent from the list. A senior security official contacted by AFP declined to explain why.